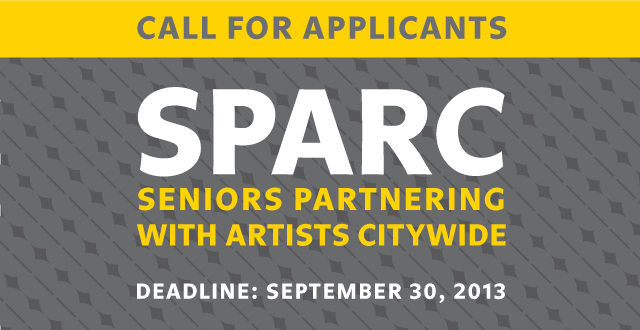 Seniors Partnering with Artists Citywide (SPARC) is a community arts engagement program that places artists-in-residence at senior centers across the five boroughs of New York City. SPARC provides selected artists with a stipend and access to workspace in senior centers in exchange for the creation and delivery of arts programming for seniors. Selected artists will engage participating seniors in an art project or series of cultural programs over the course of the residency, which will also include a public program component – exhibits, readings, performances, open houses or other cultural interactions open to the surrounding community.